“To work out your salvation is not to trust self but to put [your] trust in the Lord,” Pastor Benny teaches. 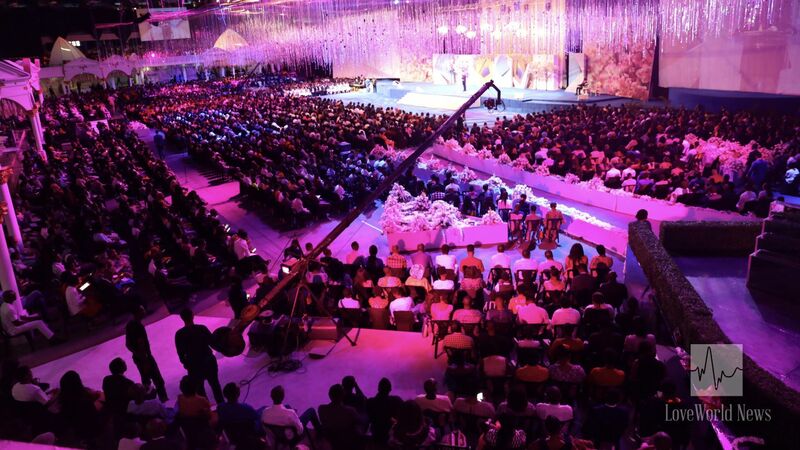 At the LoveWorld Convocation Arena, thousands gather to hear the Word of God and be immersed in an atmosphere of divine realities in a special Super Sunday Service with Pastor Benny Hinn and the man of God, Pastor Chris. Heartfelt worship to the Lord in a rapturous atmosphere. The congregation has spent time in prayer and heartfelt worship, expressing a deep hunger for spiritual edification according to the message of the Spirit that came at the beginning of the month. 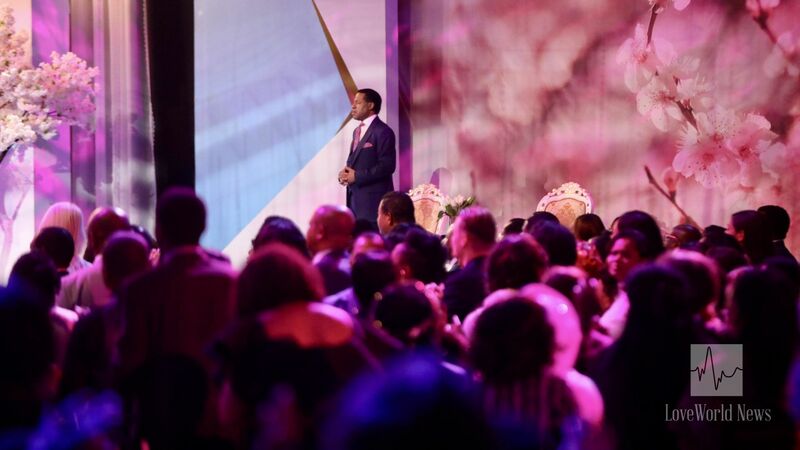 As is also a vital part of the ministry of the renowned televangelist, Pastor Benny Hinn, inspiring hymns and spiritual songs have filled with the atmosphere with the glorious presence of Jesus. The man of God, Pastor Chris, listening attentively as Pastor Benny ministers. “Denial of self is the key to the power of God,” Pastor Benny said to the congregation, explaining that “you will only produce fruit once they die to who you are…what you want…your desires!” He has spoken about the Christian journey, the glorious experience beyond salvation. With many scriptures, he has inspired the congregation to yield themselves in total surrender to the Lord Jesus. View of the congregation as Pastor Benny Hinn shares the word. 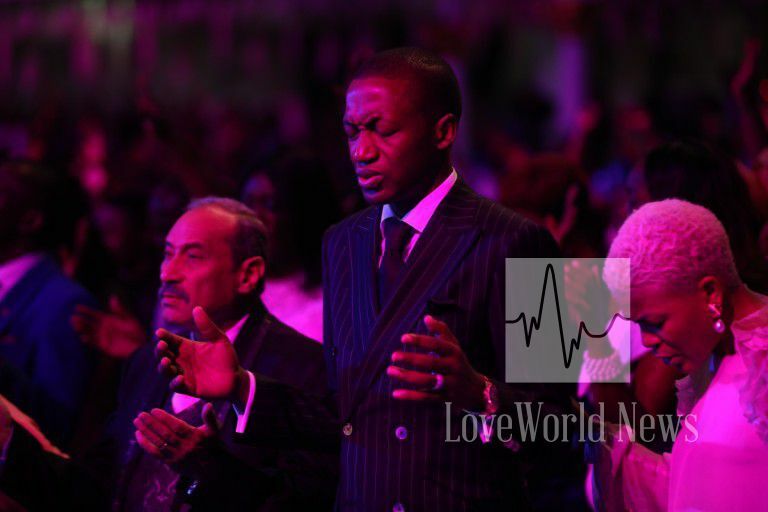 Stay tuned to LoveWorld News for more updates from the ongoing Super Sunday Service. glory to god for ever more amen. my goodness. I can only but imagine what being in this service could do to a man . Wow wow wow !